Nawada (Bihar), April 2 (IANS) BJP's prime ministerial candidate Narendra Modi Wednesday vowed to bring back the black money stashed in foreign countries if the BJP-led NDA is voted to power. "If the Bharatiya Janata Party government is formed in Delhi, I promise to bring back the black money and it will be used for welfare schemes for the poor," Modi said. Addressing a rally in Nawada parliamentary constituency, the Gujarat chief minister said the Congress-led government was not keen to bring back the black money from foreign banks because they have vested interests to save those who deposited the money there. 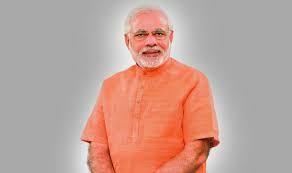 Modi said India needs a "sevak", not a ruler, to serve the country. with over 300 seats to take the right decisions." Asking the people to vote for the BJP, he said the Congress has not fulfilled any promises it had made in the 2009 polls. "The Congress manifesto is nothing but a dhokha-patra," he said. On the Nitish Kumar government in the state, he said the administration was "sleeping" when blasts took place at his Patna rally last year. "The time for promises is gone. Now Bihar needs resolution," Modi said. In a bid to woo Yadav voters, Modi said he hails from Dwarka and hence it was natural for him to be emotionally attached with the Yadav community. 0 Response to "Modi vows to bring back black money"